In pursuit of happiness! : The Truth: How fantastic discounts are created! categories. The discounts are too good to be true. The limited time deals can tempt men and women alike. 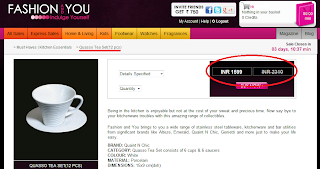 But are the 50%+ discount really true? What about markup price? The following comparisons done on 23/4/2012 will shock you. The markup price at FandU is 200% of the actual MRP. The markup price at FandU is 182% of the actual MRP. 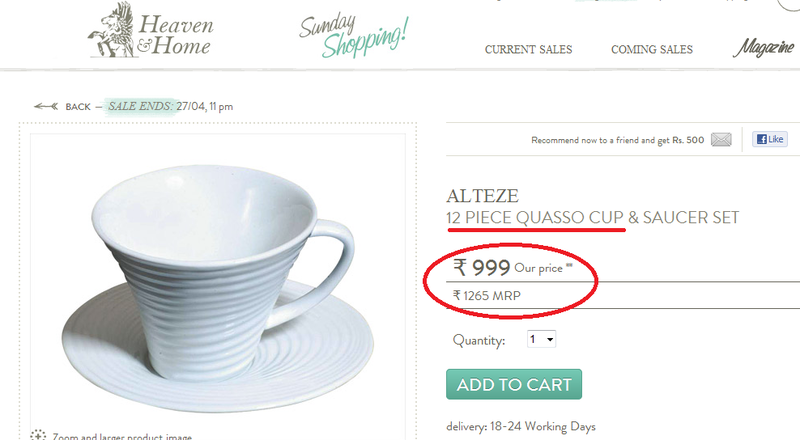 The above screenshots show two E-Commerce websites ﻿selling same products but quote dissimilar MRP. There are many more products that have such jacked up MRPs. Now we know how such unbelievable discounts are CREATED! 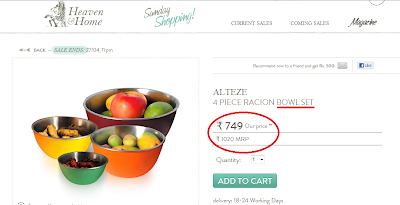 Well, it is really smart and foolish strategy from such E-Commerce websites to mislead and outsmart customers.